The SubZero SZ-MIX08USB 8-Channel Mini Mixer with USB by Gear4music is a premium quality compact 8 channel mixer with USB connectivity, 2-band EQ for each track, phantom power, and a range of input types, features enhanced by the further benefit of a small and manageable housing at a very competitive price. Combining great build quality and features with outstanding value for money, this mixer offers what you would normally only expect from a much higher priced mixer. 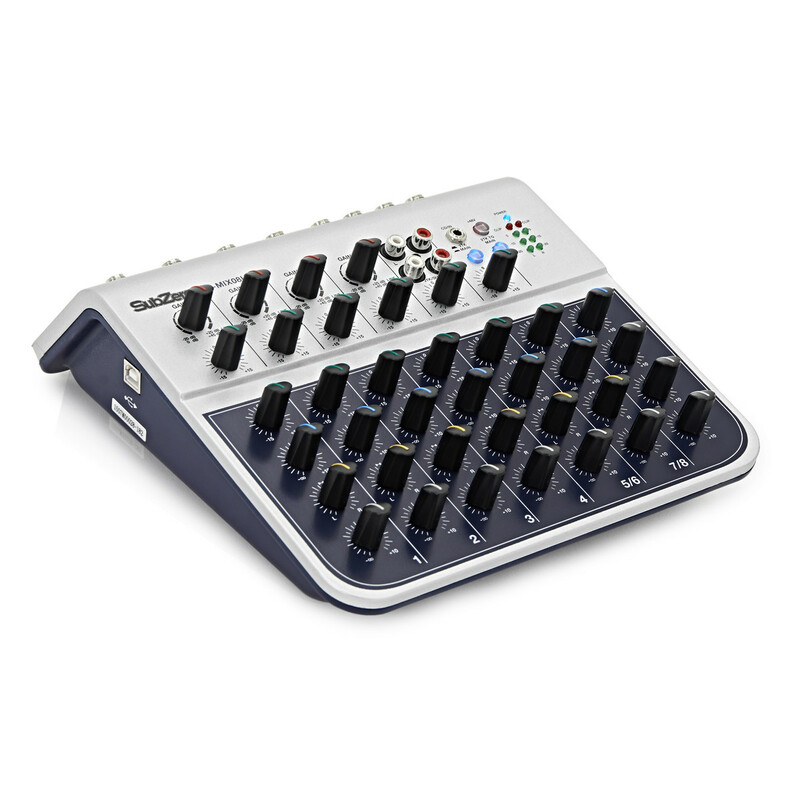 With its compact size, and USB connectivity, it is an incredibly versatile mixer for studio, live and computer use. 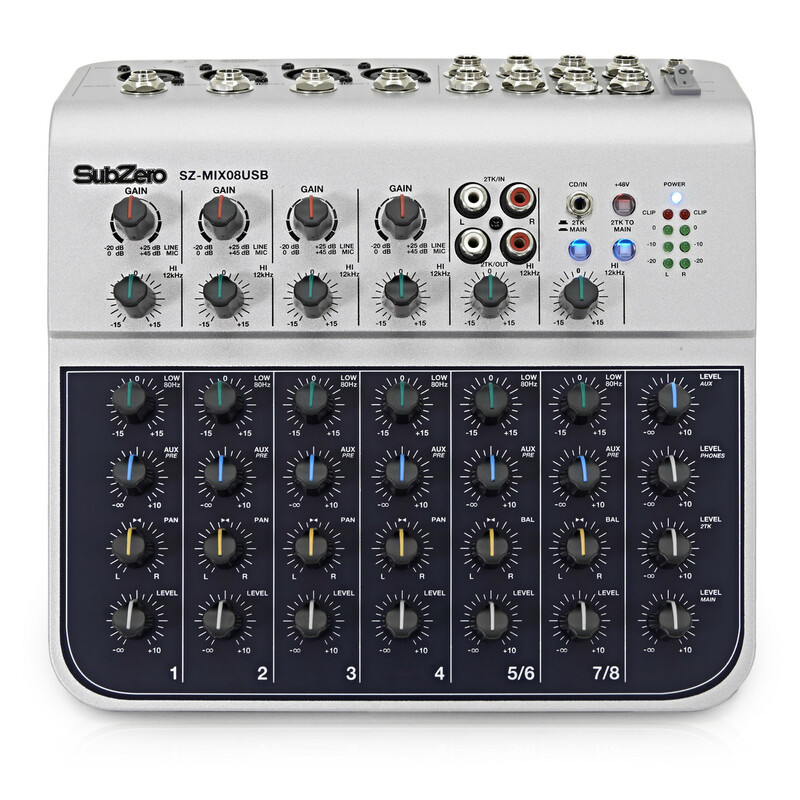 Despite its small size, this mixer has all of the features you need. It has a 48V phantom power which can power condenser microphones, as well as dynamic microphones, with a discreet pre-amp with less than 0.08 total harmonic distortion. 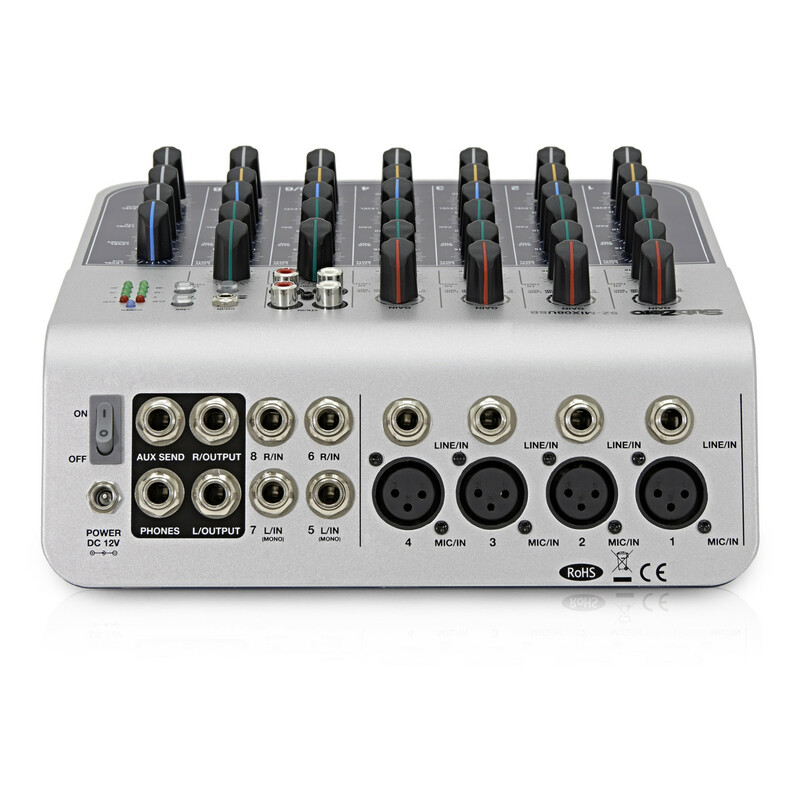 The USB port means that you can easily connect the mixer to your computer, for both recording and playback, making it great for DJs, home recording and for live sound use. The sturdy metal body and compact size also means that it is ideal for gigging, and can take a few knocks. Jack Line inputs: 4 x 1/4"